How does a person reflect on the quality of the life they’ve lived? What metric does one use to measure the success they’ve achieved? Are there definitive criteria that need to be met in order for a person to be able to say they’ve lived to the fullest? 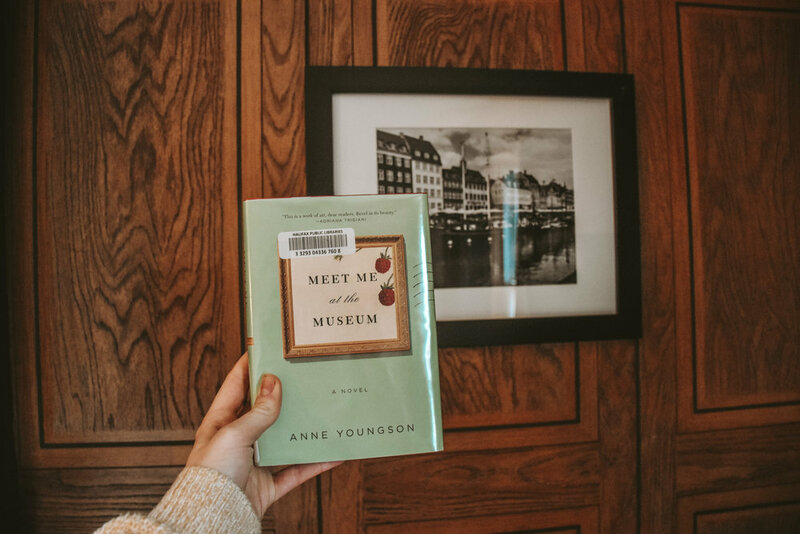 These questions are at the heart of Anne Youngson’s debut novel Meet Me at the Museum, an epistolary novel unfolded over the course of many months as two complete strangers become intimately connected by mail correspondence. Tina, an aging farmer’s wife from England, and Anders, an archeologist from Denmark, share with one another their regrets, shortcomings, and lasting dreams for the future, forging a beautiful, if improbable, relationship. When Tina’s childhood best friend dies, so does their shared dream of traveling to Denmark to see the Tolland Man in the Silkeborg Museum. Since childhood the pair had planned to visit the preserved Iron Age man, and without her friend Tina feels unable to make the journey. Reeling from her loss and devastated by the realities of aging, Tina reaches out to the museum’s curator by mail, and accidentally comes into contact with Anders. At first responding as a kindness, Anders soon becomes absorbed in Tina’s writings and stories, and the two become intricately involved in each other’s lives despite having never met. Their relationship defies categorization. They have a deeper connection than friendship, but Tina is married – somewhat happily – and Anders is recently windowed. The two reminisce on moments from their youth and muse about how they will be remembered when they are gone. They support each other through sad events and life’s everyday hardships, encouraging one another to continue to grow despite their age. The snail-mail dialogue between Meet Me at the Museum’s main characters is quite formal, but feels natural and believable both because of their ages and the mode of communication. Their letters are filled with beautiful prose and deep, philosophical musings – sentences that wouldn’t feel right if spoken out loud, but flow beautifully across the page in written form. Anders, whose first language is Danish, often asks questions about English verb conjugation and translations, giving the novel even more of a realistic feel. Youngson, who worked in the motor industry for many years before writing Meet Me at the Museum, offers valuable insight into the process of aging. She has created two characters who are incredibly relatable and endearing, and whose lives are imperfect and complicated. Youngson’s writing will spark deep introspection among readers, especially those who have been pushing aside a trip they’ve always wanted to take or hobby they’ve always wanted to try. No one warns you how quickly the feeling of nostalgia, of not having done enough with the time given to you, sets in. How early in your life you begin to feel the pains – both emotional and physical – of progressing in age. With age comes wisdom, but also the desperate desire to return to youth and use that wisdom to make different choices. It’s about time a book portrayed aging as something other than a disaster, but rather as a chance to try again, to take life’s many lessons and finally put them to use. Meet Me at the Museum is melancholy and nostalgic and utterly spellbinding. It is a reminder to get up and do the things you’ve been meaning to do and to value the people around you, and above all to not judge yourself and your life too harshly. Meet Me At The Museum is a must read. It offers a beautiful and calming respite from the craziness of life and stresses of being alive.